As one of the world’s foremost interior designers, Tricia Guild has a passionate belief that the way we choose to live has a significant impact on our well-being. The homes that we live in, the things that we surround ourselves with, and the everyday choices we make, can profoundly affect our outlook and positivity. It is no surprise, then, that Tricia practises what she preaches: she finds it impossible to separate her work as a designer from other aspects of her life, and she believes that we should seek creative inspiration in each experience, especially in enjoying the things that bring pleasure to our lives. For Tricia, Italy is a particularly enduring passion, and she has had a house there for many years. When Tricia and her family began the search for a new property, she found the perfect opportunity to create a special home – a contemporary interpretation of the local vernacular – that represents her kind of modernity. In my View takes us on an extensive tour of the breathtaking Umbrian property, right from the entrance steps and the rooms/spaces in the main house to the outdoor dining areas, studio, guest accommodation, kitchen garden and pool house. 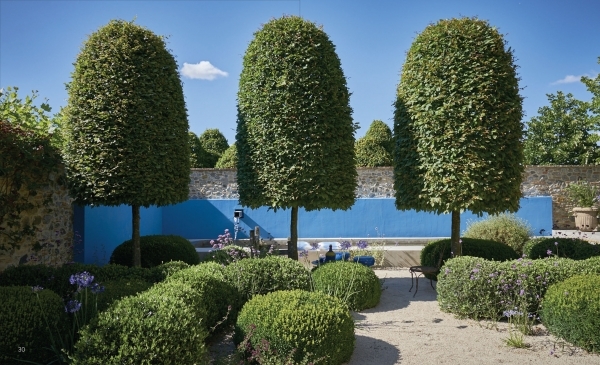 The architect Stephen Marshall and the garden designer Arne Maynard offer insights into their collaboration with Tricia, describing, among other things, the selection of materials for the house and the planting on the terraces and around the rolling lawns of the garden, set amid verdant olive groves. Tricia also presents her new London home: a Victorian townhouse, where, with the same team of Stephen and Arne, she set about creating an urban retreat comprising three distinct areas to accommodate living, dining and resting. Throughout the book, Tricia shares the moodboards that helped her to realize her dream homes in Italy and London. For Tricia, moodboards are vital in the early stages of any project because they help to establish the language, rhythm and style of each space. The process of selection and careful editing here lies at the heart of finding one’s own style. In my View reveals the personal choices that have shaped the way Tricia lives now, and will inspire the reader to develop their individual style and thus create their own special view. 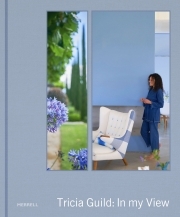 Tricia Guild OBE is the founder and Creative Director of Designers Guild, a company renowned internationally for its innovative fabrics, wallpapers and home furnishings. Famed for her bold use of colour and her flair for combining patterns, she is the author of numerous books, among them Pattern (2006), Inspiration (2006), Decorating with Color (2013) and Paint Box (2017). Amanda Back is Head of Communications at Designers Guild. She has worked with Tricia Guild for 20 years. James Merrell is a photographer specializing in interiors, lifestyle, travel and portraiture. His work has featured in many books and magazines, including Elle Decor, House Beautiful, Town & Country, Livingetc and Vogue Living.